It’s been ages since I’ve posted up some fun links for you. In fact, I had so many that I’ve split them into two posts, one for today and one for Monday. Perfect way to end and start the week. 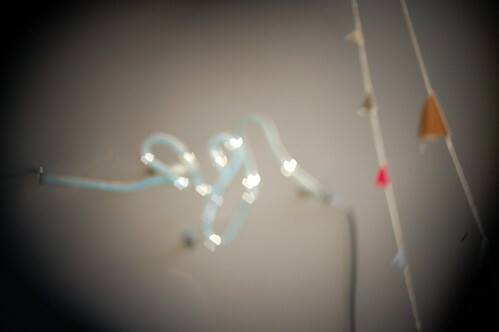 These are a few more images from my experiments with heart bokeh. They are very moody. I can’t wait to get my hands on the proper lens to do this right. filing this away for a future natural dyeing project. looks like spring! i’m a sucker for mac & cheese. speaking of mac & cheese, debbie was telling me about deep fried mac & cheese. crazy. what a brilliant idea – neutralized, then overdyed rugs! so this is what i’m going to do with that bag of cranberries in the fridge! an apple a day calendar. cutest. 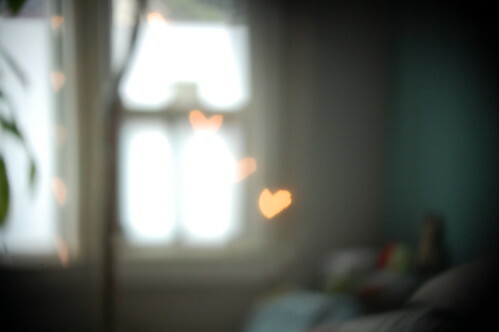 Thanks for the links the other day about the heart bokeh – I’m smitten. And I love these pics you’ve shared, too! Oh, and I think the honey cranberry bread will be gobbled up at our house this weekend. 🙂 Thanks! 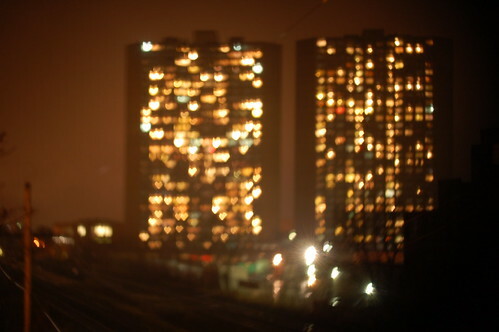 Is that what bokeh is? Hilarious – I’ve been wanting to do a series of photos of what I see when I’m not wearing my glasses. Little did I know that it’s been done, and has a name! 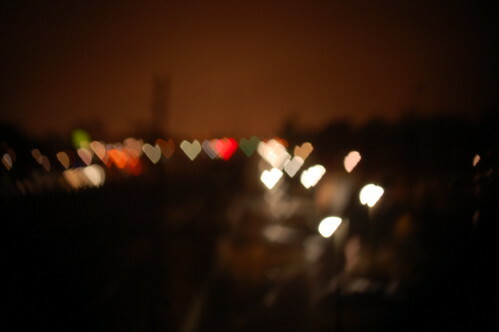 For the record, my “natural” bokeh is not hearts, more like flares. Also, where do you get blender pens – they sound awesome! I did some katazome when I was in Japan a few years ago! The special paper that you use for the stencils has the most distinctive and (I think) wonderful smell! Unlike anything I have ever smelled before… I still have some and anytime I pull it out from storage the scent instantly triggers my memories of that trip! You should definitely look into it… such a cool technique! Thank you for linking to me back to me! Your blog is new to me. very cute! look forward to checking it out more in detail. happy weekend! Whoa! That string thing is cool. Gonna have to pass that one on! Is that the Crossways twin towers? Only you could make them look that good. I’ve been missing your links! Thanks….its like the perfect guide to being unproductive at work…. Thanks for the links. You’re getting better and better with the hearts! These photos are fantastic. that cranberry bread looks super good, but i thought you might also enjoy this fun use for cranberries. i made these this past holiday season and think they’d be perfect for valentine’s day too. just used floral wire and strung the berries then twisted the wire into shape. the one inside a friend’s house is drying nicely, but the one’s outside got lots of spaces between as they aged… or maybe the birds were enjoying them! i hope you like them! These make my heart sing!